Dee Torres-Hill and Community Action Partnership of San Luis Obispo (CAPSLO) have agreed to a settlement in a lawsuit over alleged discrimination and retaliation. On Oct. 20, the parties agreed to settle after a nearly seven hour mediation session, according to documents filed in San Luis Obispo County Superior Court on Oct. 26. CAPSLO Chief Operating Officer Jim Famalette is not disclosing details of the agreement, though he did say he is satisfied with the settlement. “T​he Torres-Hill case has been settled to the mutual satisfaction of both parties​,” Famalatte said. 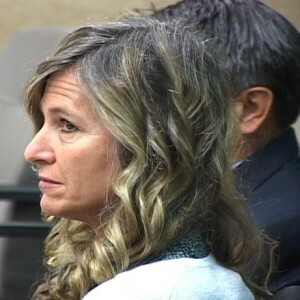 In 2013, former and current CAPSLO employees and several of Torres’ ex-boyfriends said she routinely took gift cards intended for the needy and homeless and made personal use of them. CAPSLO administrators denied most of the allegations, but they admitted to questioning Torres-Hill about selling items donated to the homeless and not accounting for them. In March 2014, CAPSLO demoted Torres-Hill and cut her pay. CAPSLO announced the move as a “restructuring” because of financial concerns. Torres-Hill fired back against her former employer by filing the lawsuit that claimed she was the victim of retaliation. She was seeking punitive damages for wrongful termination, defamation, libel, and infliction of emotional distress. In addition, Torres-Hill claimed CAPSLO discriminated against her based on a disability. After a doctor determined she was unable to continue working at CAPSLO, Torres-Hill went out on medical leave, according to court records. While still an employee of CAPSLO, Torres-Hill started the SLO Housing Connection, a nonprofit that provides homeless services that appear to duplicate many CAPSLO services, including case management, shelter and employment services. In fall 2014, while Hill aggressively attempted to persuade members of the San Luis Obispo City Council to vote in favor of a land use change needed by developer Gary Grossman to develop large parcels near the airport, Grossman made a $50,000 donation to the SLO Housing Connection. Earlier this year, the entire SLO Housing Connection Board quit because Torres-Hill refused to take direction and was not following the non-profits mission statement, a former board member who has asked to remain unnamed said. In May, Torres-Hill resigned from her position at CAPSLO. The lawsuit will not be officially dismissed until Dec. 11. It’s common for civil settlements to include confidentiality clauses. My modest proposal would be that any public entity (and I would include non-profits which receive public funds) be precluded from participating in any settlement unless the terms of that settlement are a public record. It’s our money being thrown around and we should have the right to know what is being done with how much of it and why. I’m not sure but I think the monetary amount is public information but the terms of the settlement may not be, I think it requires a Freedom of Information request to get the amount as it would be part of the expenditure information that is available. Do a FOYA its not that difficult. Heres a link to a group in Washington DC that does these at the National level all the time and has been incredibly successful! Remember this information belongs to all of us the American People bought and paid for it! Small-town politics at its finest!! Once again, for the umpteenth time, we see the true colors of those who are supposed to be the outstanding citizens of this county. house? Not just in SLO or AG, but every place in this county (also state and nation). is not what this county (or state or nation) deserves? It will be a small step, but a good place to start would be to get rid of Adam Hill. Then one small step could be the start of large journey – clean house – top to bottom. Very unfortunately, Paso_citizen, Never-No-Never is the answer to both of your “when, oh whens.” Given the opportunity, District 2 voters ridiculously voted back for another term the infamous Supervisor Gibson. Gibson purchases the votes of every single SLO COUNTY employee [within District 2, that is] by giving ALL COUNTY EMPLOYEES $1,000 end-of-year bonuses. If YOU live in District 2 and are employed by SLO County and receive an UNEARNED $1,000 year-end “Merry Christmas” bonus, who would YOU vote for? Santa? Well, unfortunately, his name wasn’t on the ballot! Mariposa, you are 100+% correct – as long as our elected officials can get away with such obvious actions as your example – then what we have seen in the past will be exactly what we see in the future. And I agree, it is an unfortunate sign of the times that many, many hard-working families are having a very tough time making ends meet – but I am not convinced that these are county employees. From the data I have seen, the vast majority of city and county employees are paid well above what one could earn in the private sector. But, I have to admit, if someone came up to me and offered me a $1000 bonus – I would most likely take it, say ‘thank-you’, and continue with my life. Would it sway my vote? Maybe, but even if it did, can that decide an election? Gibson – did that decide the election? If your answer is yes, then maybe the other 100’s of voters in District 2 should think long and hard about how they voted. Now I think I would be correct in believing that Gibson’s $1000 gift was by no means the only underhanded trick he has done (applies equally well to many other city, county, state, and federal officials) to buy votes. But, the BIG question remains – just what kind of county (or state or nation) do we want to leave to our kids or grandkids? Is it one where deceit, graft, payoffs, ‘under-the table’ deals, etc. are all just accepted practices that have became ingrained into the ‘American Way of Life’? out to get theirs first, at all costs, and without any concern about anyone else? We, the voters, still have the power to answer that question. What will it be? Paso_citizen – “We, the voters…” – that’s the crux of the matter. The voters, generally speaking, are busy, uninformed, gullible people who think it’s just dandy to re-elect incumbents. Period. They’re not “into” delving into or doing even a scant amount of research to determine who may be worthy of their vote. Complacency = disaster. End of story. Bingo! You are right again. Voters have become complacent. And to add insult to injury – incumbents know that. With the almost total destruction of the ‘middle’ class in this country – most people do not have the time to put any real thought in who is lying or who is being lied to. Day-to-day life is taking all their effort. Incumbents and others with power aim to keep it that way. But, I am a firm believer in that will change. Whether the change comes from the ballot box or from the bullet box remains to be seen. People, despite all of their issues, troubles, trials, and tribulations will not accept this forever. It may take 20 years, or 50 years, or more; but change in this country will happen. Look what has happened in many countries over the past few years – consider what brought down many of the world’s empires (Egyptian, Roman, etc.) – it was more from complacency inside than from outside forces. To have a time-machine and be able to fast forward to maybe the year 2125 would be both informative and probably very scary. SLO County still has its Diebold voting machines….